Learn why meditation stands the test of time as the ultimate way to take care of your mind and your body. One of the most well-known concepts of the Zen religion and lifestyle in general is the concept of meditation. Similar to how going to a gym trains your body, meditation is a method of training your mind. It is basically a time for you to relax and slow your life down, allowing you to actually run faster once your meditation is complete. In other words, it is a way to recharge your body and keep you feeling energized and ready to roll with whatever comes your way. However, there are a lot more nuanced details about how exactly meditation is good for you, and we’ll go over them here now. To start though, we need to know how to meditate in the first place. And in fact there are quite a few different variations on meditation, all which more or less serve the same purpose – we’ll go over the two most popular methods. The first is “concentration meditation”, which basically means concentrating on a specific entity. An obviously example that you may be familiar with is listening to the slow banging of a gong. However, there are plenty of other “entities” that work just as well. Things like repeating a single word or staring at a specific object are all forms of concentration meditation. The key here is to focus on said entity to the fullest extent possible. The second most popular form of meditation is what’s known as “mindfulness meditation”. In this case instead of focusing on a single, sometimes seemingly random entity, you let your mind wander all the while observing said thoughts as they come and go. However, you are not trying to think critically about the thoughts or get too focused on them, but rather observe their presence in a general sense. And as strange as it may sound, this lack of focusing on the specific thoughts requires a lot of focus as well, thus fulfilling the requirements of meditation, albeit in a different way. On a top level, such meditation practices can over time help you to actually train your brain in positive ways. You can end up improving both your long-term and your short-term memory, as well as your overall awareness. And by awareness, this does not just mean being aware of your physical surroundings, but observing and analyzing subtle clues from those around you to become aware of their emotional state of minds as well. This latter form of awareness can be quite powerful in helping you become a more caring and compassionate person overall. When you dig deeper though, you can see plenty of other even more tangible emotional benefits to meditation. By meditating frequently, you can also reduce your overall levels of depression and anxiety, the latter of which I know for a fact that all humans experience (to certain extents) from time to time. If you are in a demanding field of work, meditation is a great way to lower stress levels and ultimately lead to better performance in general. And when work often dominates our everyday lives, especially in our younger years, who wouldn’t want to have an edge when it comes to outperforming your peers, leading to promotions and higher wages to support your family? From a physical standpoint, meditation is also a great way to reduce blood pressure and steady your heart rate, both of which helps you to feel better due to the fact that your circulatory system is now working more optimally and efficiently. This makes sense since meditation is more or less a form of relaxation, which is commonly known as a way to lower your blood pressure. In addition, some studies have also shown that meditation can also improve your immune system to a (slight) degree. And although the concrete physical benefits of meditation may be a bit lacking overall, the overall feeling you get when you meditate can actually be a placebo to help you feel better every time you finish meditating (if not actually making your body feel better outright). 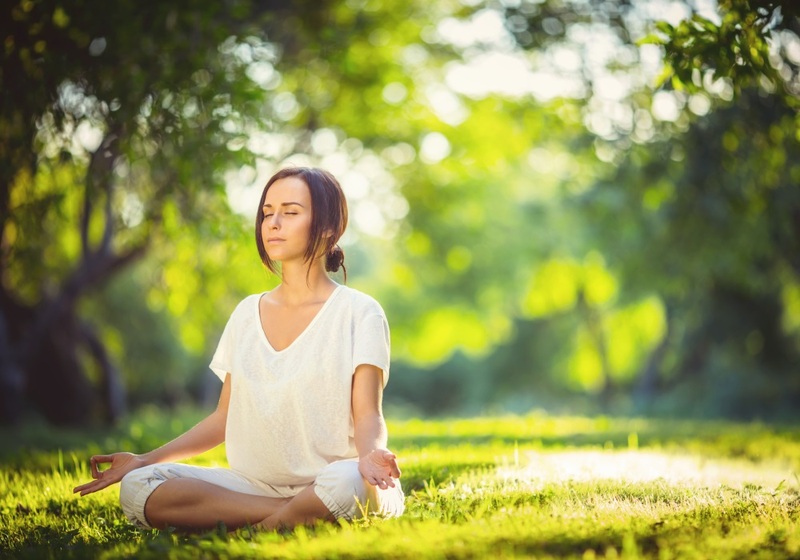 While meditation can become quite physically and mentally taxing on your body to begin with, it can lead to quite noticeable improvements in your mind and body within just a few weeks. However, a big reason people don’t do it is simply because they don’t have the patience to do it, or they don’t feel they have the necessary time to devote to it. But if you’ve read all of the many benefits above, I hope you at least try meditating for a few weeks (or even just a few) to help you see personally how it can positively affect your life.